IF I WERE PRESIDENT is a classic Presidents’ Day book—and a fun and inspiring read for any child who aspires to the highest office in the land! If you were president, you would work in the Oval Office, get help making decisions from people in your cabinet, and be in charge of the armed forces. The Secret Service would follow you everywhere, and Air Force One would carry you on trips, sometimes to other nations. A multicultural cast of children imagines what it would be like to be president. Readers will be so caught up in the fun they won’t realize that the book is also an ingenious teaching device and discussion starter. A note about the presidency accompanies the story. Selected by Rutgers University’s Center for American Women and Politics for the 2017 Teach A Girl To Lead project with 2000 copies distributed to each woman in Congress, the women serving in all state legislatures and four women governors. Many of these leaders shared the book with children in their states or districts. 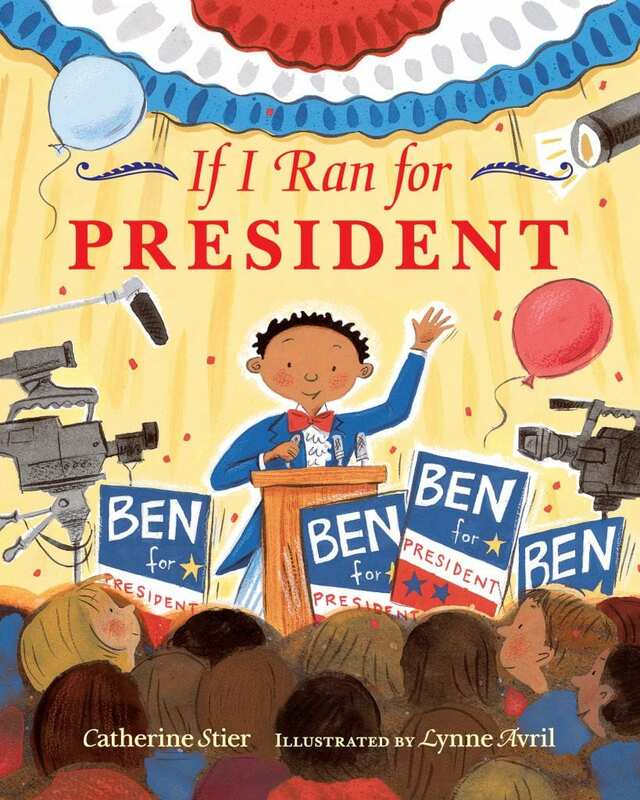 The critically acclaimed title IF I RAN FOR PRESIDENT is the perfect choice to help readers learn about elections, celebrate Presidents’ Day or prepare for a visit to our national presidential landmarks. Imagine starring in commercials and traveling in your own campaign bus! Or seeing your face on bumper stickers and T-shirts! If you ran for president, you would get to do these and other fun things, but you would also have to do a lot of hard work. You would study the nation’s problems, tell the American people about your platform, select a running mate, and debate your opponents on live television. Finally, in November, Election Day would arrive. You would keep your fingers crossed and wait for the results—will you be the next president of the United States? A multicultural cast of children imagines what it would be like to run for president. The entertaining yet informative text is a good conversation starter for discussions on the election process. A note about this process accompanies the story. The author, Catherine Stier, is no stranger to politics—her previous book, If I Were President looked at the various responsibilities of the president. Lynne Avril’s cheerful illustrations perfectly complement the lively text. The school gym is a polling place, and Bailey, Ren, David, Meg, Aiden, and Isabella know all about Election Day and voting! Bailey helped her Aunt Julia run for a seat on the city council. Aiden goes with his grandpa to vote. David’s brother Jake will be voting for the first time. Meg talks about how years ago, some citizens were not permitted to vote. 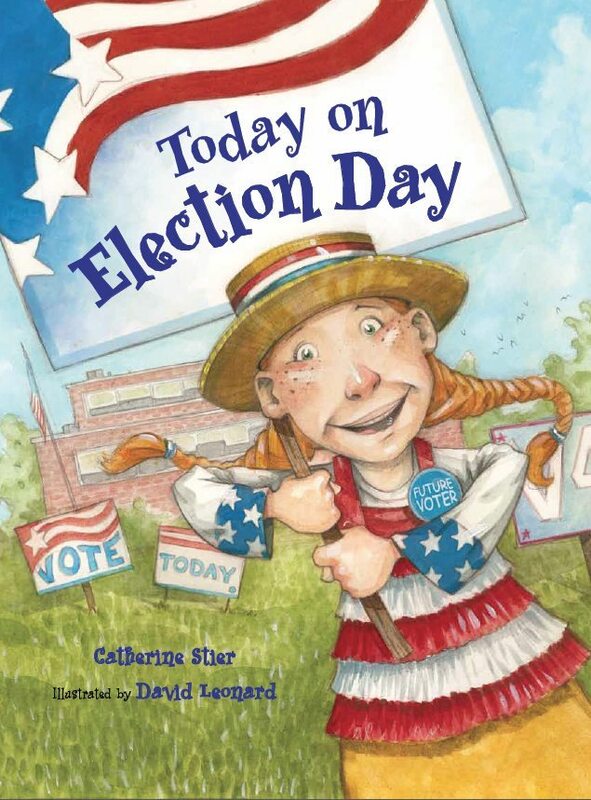 A perfect picture book for future voters of America, Today on Election Day will simultaneously entertain and educate. I am proud to be the author of a trio of presidential/election themed books. This is how they came to be. Years ago as a young mom, I worked at a YMCA preschool program. For Presidents’ Day, I sought a timely book to read to my class – but could not find one that explained the presidency for very young audiences. And so I wrote one. 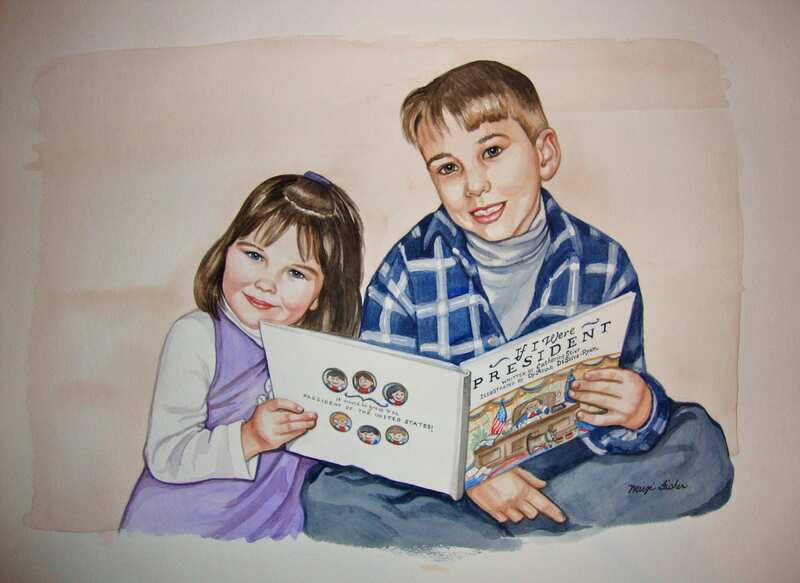 Published in 1999, IF I WERE PRESIDENT (Albert Whitman & Company, illustrated by DyAnne DiSalvo-Ryan) won awards, was included in many classroom lesson plans and was even featured on the WGN-TV Bozo Show. After its publication, I began visiting schools with an interactive “If I Were President” program. 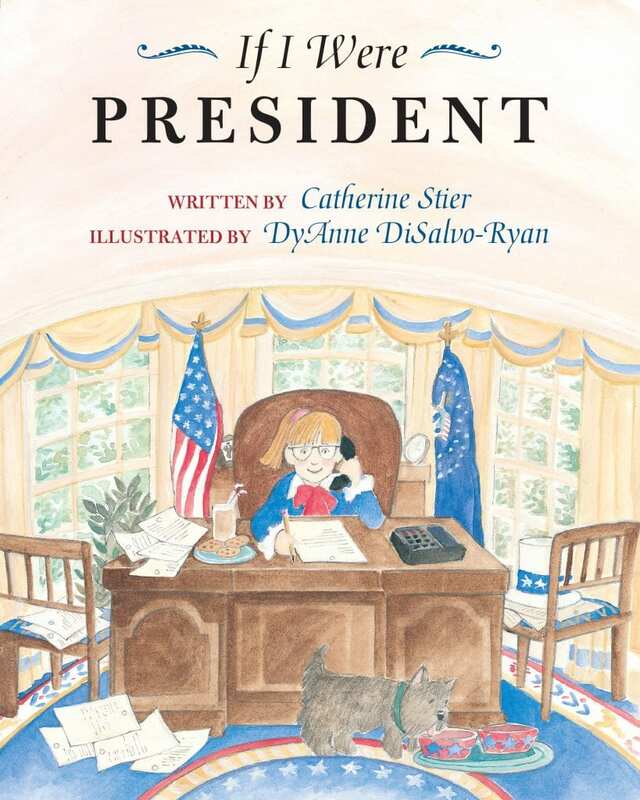 I found that the students and I had lots of fun not only talking about the job of the president, but also exploring what it would be like to run for president – so that became the subject of a new book, IF I RAN FOR PRESIDENT (Albert Whitman & Company, illustrated by Lynne Avril). 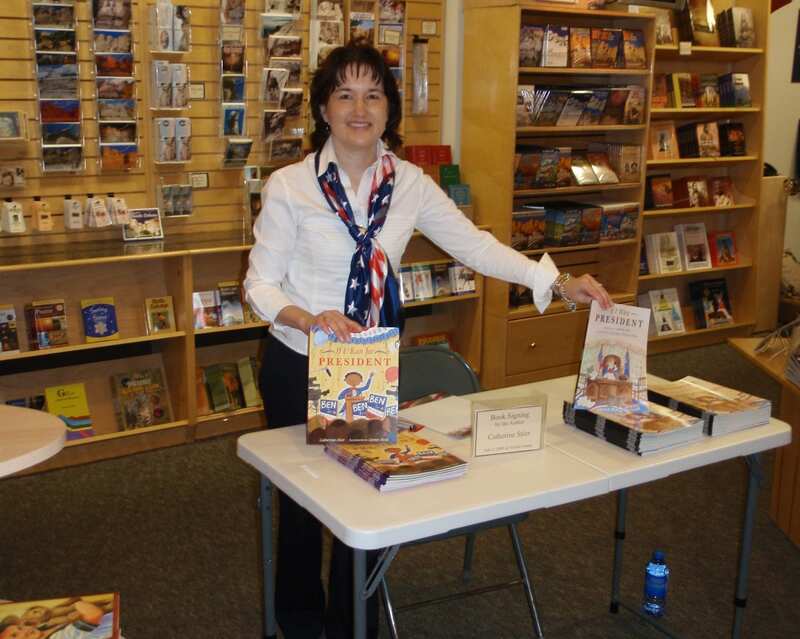 Following the publication of these two books, I was invited to conduct a books signing at Mount Rushmore National Memorial for their Independence Day celebration. More than 20,000 people visited the park that day, I met people from all over the country, and at night there was an amazing fireworks display. I also conducted a book signing for these titles at the Smithsonian National Museum of American History. The last book in this trio came about in a different way. The school my children attended served as a polling place, a place where citizens come to vote on Election Day, and I volunteered at a San Antonio Library branch where early voting took place. I wondered what the kids at schools and libraries thought as they saw the election signs, and the people streaming in to vote. I decided to write TODAY ON ELECTION DAY (Albert Whitman & Company, illustrated by David Leonard) to explain a bit about voting and all that happens on Election Day in the United States. A painting of my own kids, reading my first book. Watercolor portrait by San Antonio Artist Margi Fisher.